9 ways to tell if the victim blog you read is run by a narcissist. The Internet is a great thing for a lot of reasons, but for victims of narcissistic abuse, it’s probably the first time in our lives we ever had a voice, and would be listened to and believed. 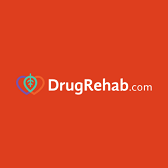 There are hundreds and probably even thousands of blogs and websites for people who have been victims of narcissistic abuse, either by their families, or at the hands of an abusive spouse, boss, lover, or friend. Before the Internet, if you actually went No Contact with an abusive person, especially if it was your own family, most people would tell you you’d “regret it” because “your family is all you have.” Religious people might have said to you that disconnecting from a parent or other close family member was a grave sin and broke the commandment that says, “honor thy mother and father.” Well, my answer to that is this: you are not honoring an abusive, narcissistic parent by enabling them or allowing them to continue to abuse and use you. The kindest thing you can do for them is to stop enabling them, by going No Contact. By doing so, you are removing yourself from the equation and making it impossible for them to target you anymore. More than likely they will find a new person to target, or continue to talk trash about you behind your back, but you are making things harder for them. Think of it as “tough love.” You can still love a narcissistic parent but refuse to allow them to victimize you anymore. There are many great narcissistic abuse and ACON blogs, forums, and discussion groups that have helped many people and for the most part they are a Godsend. Without them, we’d all still be in the dark, thinking WE were the problem, and that if only we could please our abusers, everything would be fine. We’d feel misunderstood and all alone. We would never have met each other or been able to tell our stories. 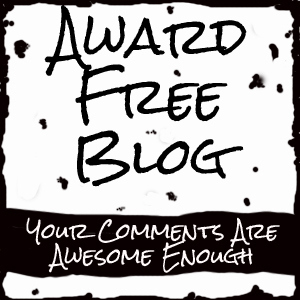 This blog started as an ACON blog, but because I’ve expanded into other topics and really didn’t have a lot more to say about my own abuse (because I got tired of dwelling in the past and prefer to look toward the future), I can’t really say this is specifically an ACON blog anymore, although I still include articles about narcissistic abuse from time to time and my old posts on it remain popular. Unfortunately, there are more than a few blogs, forums, websites and Facebook groups meant for survivors of narcissistic abuse that are actually run by narcissists who are not aware they are narcissists and identify only as victims. 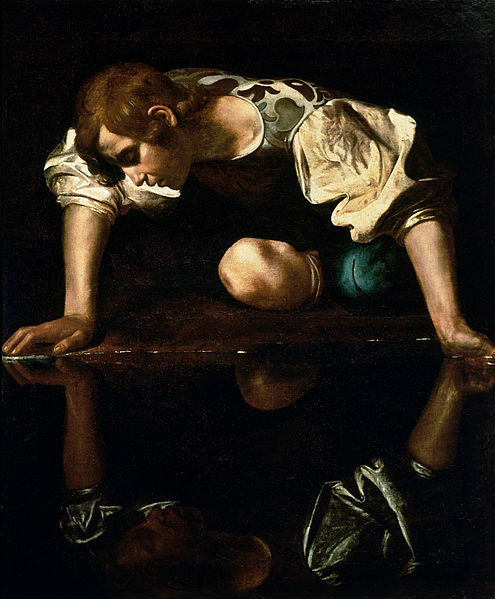 Un-self-aware narcissists are far more dangerous than those who have become self aware, because they refuse to–or can’t–see their own narcissism. Instead they project it onto others, even where it doesn’t exist. Please keep in mind, that there is a higher percentage (as much as 70%, according to some sources) of people with Cluster B disorders like NPD or BPD among those who were raised by narcissistic parents. Because there’s not a clear line between people who have been abused and those who are abusers (and in fact both may be present in the same person) it shouldn’t be very surprising that some victims are suffering from disorders a lot worse than just C-PTSD. This is a problem because a person who is in an abusive relationship and considering going No Contact (or is newly No Contact) may think they’ve found a safe haven with empathetic fellow-sufferers who can be of help to them, but they may well find themselves re-traumatized later on by the group, should they disagree with them in any way or say or do the “wrong” thing — and there isn’t much, if any, forgiveness from groups like these. Once they devalue you, you are dead to them. I was the target of such a group myself, and was so traumatized I almost took my blog down. I’ve been in the narcissistic abuse community long enough now that I think I’ve got a pretty good handle on how to tell the safe ACON/narc-abuse blogs from the ones that are not so safe and actually could be dangerous. So here is a list I devised of the ways you can tell if a narcissistic abuse blog is dangerous and should be avoided. If any of the blogs or websites you read show these “red flags,” proceed at your own caution. If you must read them, avoid commenting. 1.The site preaches hate and revenge. If the site, blog or group you are involved in constantly bashes people with Cluster B disorders, calling them demons, monsters, incurable, having no souls, all going to Hell, or encourages its readers to “get back at” them or “out-narc” them, proceed very carefully. While righteous anger is perfectly normal when you have been abused and can give you the motivation and courage to go No Contact, and even anger at narcissists in general is to be expected, if that is ALL the site seems to focus on, that’s a red flag. Websites and blogs like these CAN be helpful when a person is going No Contact or you’re trying to leave an abuser, but once you are safely away from your abuser(s) and all that righteous rage is out of your system (for most people, it WILL burn itself out eventually), you should move onto sites that focus less on how horrible narcissists (or borderlines, or whatever) are, and more on how to heal yourself from C-PTSD and narcissistic abuse. Also, it’s ALWAYS a bad idea to try to “get back at” or “out-narc” a narc. It won’t solve anything, and you may find yourself more of a target than ever. You’re not going to be any match for any malignant narcissist who’s on their game, and they usually are. 2. The owner(s) and followers of the site, group or blog seem stuck in a victim mentality. Things just never seem to get any better for them. There is no emotional growth to be seen when people are stuck in a victim mentality. If you try to suggest they move on and work on themselves to feel happier or less like victims, they are very likely to attack YOU as being a narcissist who thinks you’re better than them. This is an example of projection. Sure, I totally get that all the positive thinking nazi’s out there can be irritating (and I HATE those toothpaste-smile cheerleaders who discourage you from being able to express your real feelings and tell you to smile when you don’t feel like smiling), but that doesn’t mean there’s something inherently wrong with being more positive or forward-thinking, or doing something to change your outlook on life to a happier one. As victims, we were trained to expect the worst from people and probably have very little trust in others. But our narcissists aren’t going to just magically appear on bended knee and tell us they’re sorry and un-do all the damage they did to us. So you really only have two choices. You can continue to wallow in misery and victimization until the day you die, or you can try to change things about yourself without expecting your abusers to make things up to you, because they won’t. Changing yourself doesn’t mean you were at fault, but fair or not, it’s the only way to escape from the trap of being a lifelong victim. 3. They are never in therapy or getting treatment. I’ve noticed how some people in these groups are never in therapy or practicing mindfulness skills, or doing anything that can make their lives easier or better. I think that’s because they are really narcissists or borderlines who think of themselves as perfect and use their victim status as a kind of false self to get sympathy or attention, and woe be to those who ever suggest they need to change anything about themselves, or that perhaps a therapist could help them. Are they afraid if they go to a therapist, they might find out something they don’t want to know? 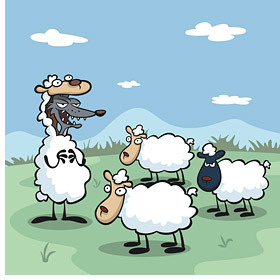 Few malignant narcissists ever think they are the ones with a problem; it’s always everyone else. 4. The group bans, blocks, or insults people who are self aware borderlines or narcissists — and those who challenge the status quo. It doesn’t matter if they are in treatment or say they want to change. They are automatically just lying or trying to get attention, just because they say they have an NPD or BPD diagnosis (or even just a self-diagnosis). Because of course, people with these disorders donothing but lie and misrepresent themselves. They CAN’T be self-aware or want to heal! But I know otherwise. I spent time on a forum with self aware NPDs and borderlines who were in therapy and actively trying to make changes and practice mindfulness and treat others better. Why on earth would they want to do that, if it weren’t true? What would motivate them to lie about it? Some groups also ban, block or insult other victims who show any empathy for people who have these disorders or who question the bashing mentality. One of the things I’ve learned on my own healing journey is that narcissistic abuse and narcissism is not a black and white issue. Most people with cluster B disorders were also victims of abuse–and most abuse victims have narcissistic traits or “fleas” to one degree or another. I’ve been called a narc-sympathizer, but I no longer take that as an insult. Some of the victim sites don’t seem to recognize that narcissism is on a spectrum, and some narcissists are a lot worse than others. C-PTSD is usually comorbid with these disorders too. While yes, it’s true that there are malignant narcissists who “like” their disorder and would rather undergo root canal than ever darken a therapist’s office door, there are others, lower on the spectrum, who dislike the way they behave and want to learn how to be more authentic and develop empathy and real connections with others. Of course, the narc abuse sites probably aren’t the best places for a Cluster B person to land, but I’m appalled at the way some of them get treated. The same goes for those who show empathy for people with these disorders. 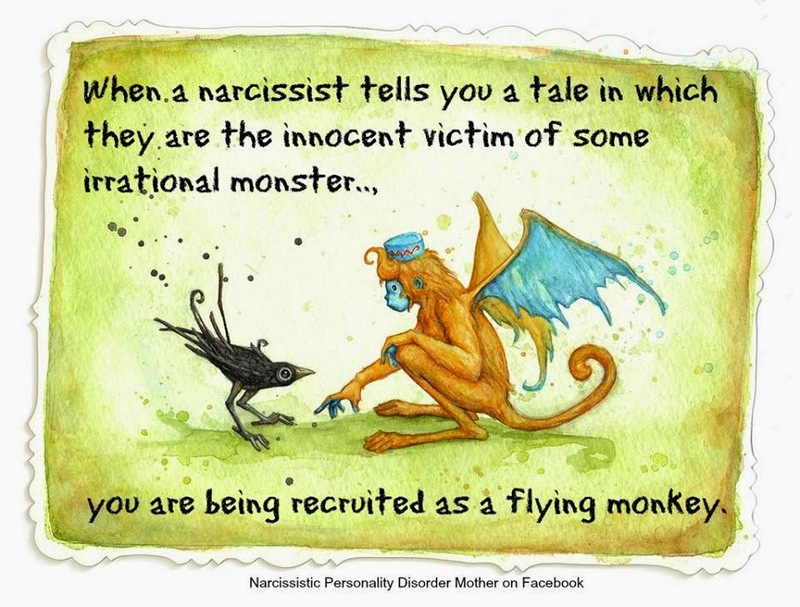 If you don’t drink the “all narcs are incurable and evil” Koolaid and dare to question the narc-hating status quo, prepare to be mobbed, banned, smeared, or called a narcissist or worse yourself. The irony here is that your show of empathy probably means you are lower on the narcissism spectrum than they are. Also, just because you hate narcissists doesn’t mean you can’t be one. 5. The site or group has a tight clique of hangers on and there is never any disagreement or healthy debate among them. All they do is pat each other on the back and agree about how terrible it all was and how evil the narcs all were. They never challenge each other to THINK or to be open to out of the box viewpoints. There also never seem to be any helpful suggestions intended to help each other heal. Years later, they are still bemoaning how badly they got treated even years after going No Contact, but are doing absolutely nothing to improve things for themselves. They are not very welcoming of newcomers, or of anyone who challenges them that they may be the cause of their own problems now that all the narcissists have been booted out of their lives. 6. They seem to see narcissism where it doesn’t exist. Someone offers a helpful suggestion or minor criticism, and they call that person a troll or a narc. They talk about isolating themselves from everyone, because “everyone is a narc” or “the world is full of narcs.” I understand the lack of trust, but you can’t heal when you isolate yourself from the world and continue to insist it’s an evil, dangerous place full of people who will only abuse you. You have to learn self empathy and from there, you can slowly learn to trust others and realize there really are good people in the world. It’s sad they will probably never reach that point. 7. They are combative and aggressive toward those who disagree with them. They may even go on a full-on smear campaign: gaslighting, telling vicious lies about you, projecting things onto you, triangulating against you (complete with flying monkeys), sending nasty “anonymous” emails,and even threatening lawsuits (narcissists are notorious for being litigious), all while continuing to insist that they are just harmless “empaths” who actually show little to no empathy, even among themselves. This happened to me, and it’s happened to others, so this is no exaggeration. 8. If the owner of the group is religious, they are dogmatic and intolerant of other religious points of view or those who disagree with their religious beliefs. Understandably, many victims of narcissistic abuse turn to God or Christianity since the people in their lives have proven so untrustworthy and unloving. This is not only understandable, it’s also desirable. Having faith can keep us healthy and sane, and give us hope when all hope seems lost. But beware of site owners who use their religion in abusive or narcissistic ways — to shame, belittle, or make themselves feel superior to others. Use great caution around anyone who tells you your religion (or lack of religion) is wrong or evil, or that you are going to Hell for your beliefs. This is religious abuse, and narcissists are notorious for it. 9. You just feel uncomfortable or ill at ease. Listen to your intuition. Even if you haven’t been attacked or targeted, if you just feel ill at ease of uncomfortable on that blog, forum or group, or hesitate to share your honest feelings and opinions there, chances are there’s a good reason you feel that way. Don’t ignore your feelings — you spent too much time already dismissing your feelings as “crazy” or “wrong” due to the abuse you suffered, but your feelings are probably trying to tell you something important and you should listen. The thing that makes me so sad is that failing to move on from the righteous anger we all feel at first, can turn a person into a narcissist, even if they weren’t one to begin with. With nowhere left for all that rage to go, a person can become bitter and paranoid. They begin to see narcissism in normal human behavior. This is why moving on from the anger stage is so important (and for most people, it does burn itself out once the danger has passed). Moving on doesn’t mean you have to tolerate narcissistic abuse or resume contact with toxic people you have gone No Contact with. It doesn’t even necessarily mean you have to forgive your narcissists for what they did to you (and you surely don’t want to forget!) But it does mean that at some point, you should be able to let go of the hatred and even begin to see abusive types as broken people who got that way because they were themselves abused (I don’t believe anyone consciously chooses to be a narcissist, in spite of what some people say). Once you can recognize them as broken people instead of demons from the bowels of hell, you can then begin to look inside yourself and see what you can do to change and make yourself less attractive to narcissists. (Thinking this way also makes them seem a lot less dangerous, which in turn will make you feel like less of a victim). Maybe you are codependent and unconsciously do things to attract that sort of person into your life. That’s not victim-blaming — it’s just being willing to take responsibility for yourself and having enough insight to see the role you might have played. None of us are perfect. It wasn’t until I was able to stop thinking in an “us versus them” way and stop seeing myself as a “poor helpless victim” that I was able to see how my own narcissism and codependency negatively affected my life and my relationships. Without this knowledge, I would never be able to heal. All that being said, I truly don’t think these group and forum owners and bloggers are aware that their behavior is very Cluster B, that they may be on the N spectrum themselves, or even–God forbid!–have NPD. I also don’t think they are being dishonest about the abuse they suffered. They honestly believe they are only victims with PTSD or C-PTSD. But their thinking about the issue of narcissism and narcissistic abuse is too black and white for them to be able to see their own narcissism, for to do so in their current state, would mean they would have to admit they were one of “those bad people” and the cognitive dissonance arising from that would be far too great for them to handle. So they must continue to split: projecting onto and smearing those who refuse to drink their poison Kool-aid. A list of useful blogs and books about NPD, narcissistic abuse, and BPD. These are all listed under my “Resources and Support” tab in the header, but I wanted to call attention to them. I have added some new ones. My apologies if you don’t see your blog listed here. Unfortunately, I can’t list them all but if you want me to add yours, please comment and I’ll be happy to add it. Worldly Annoyances — ACON blog with a biblical Christian perspective. Sue can also be extremely funny at times. I don’t always agree with her literal Biblical views, but I agree with much of what she has to say just the same. Her posts are short and sometimes make me smile.